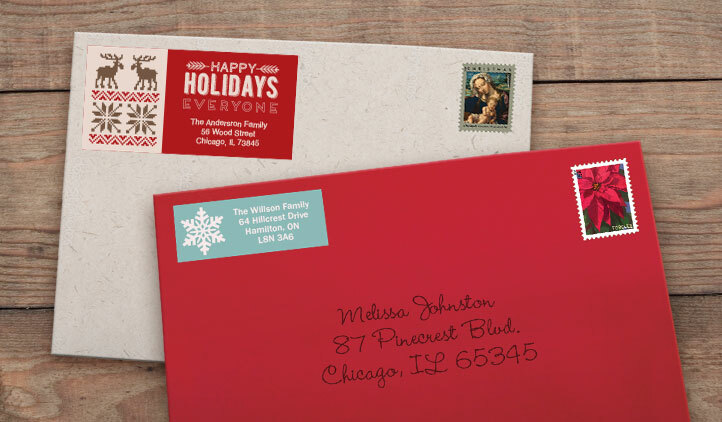 Mailing address labels are great for saving time, as well as making your mail fun and unique. For wedding invitations, include a photo of the bride and groom on the return address label, or make address labels for a gift, great for new homeowners! When you have family, invitations, or event mail to go out the last thing you have time for is individually addressing all the envelopes or cards that need to go out. 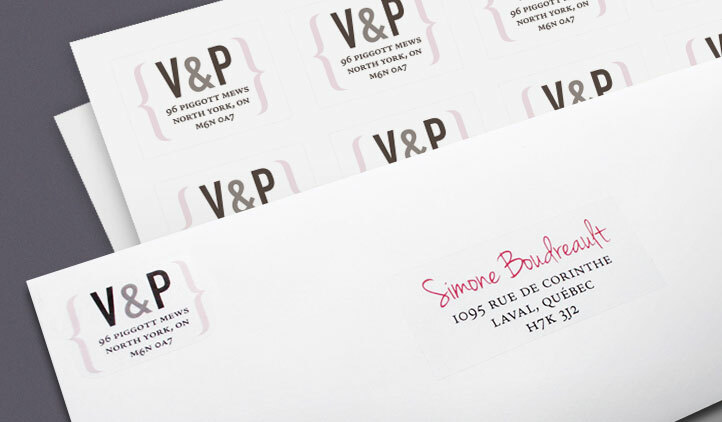 Get things done fast and stay organized by making your own address labels. 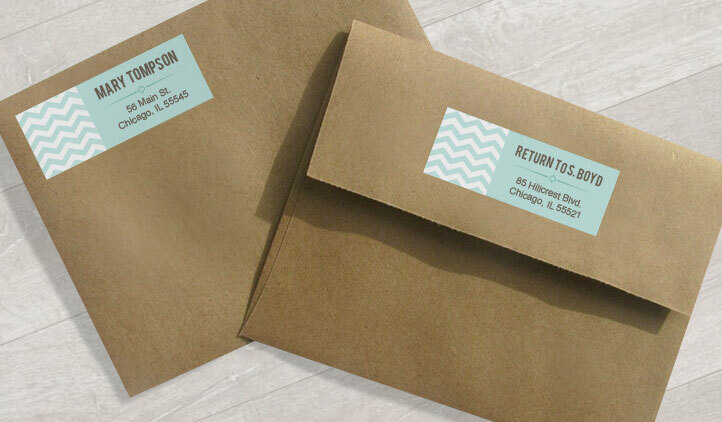 You can even make things easier for your recipients by including return address labels for RSVP’s so they have no excuse not to send them back. With 4 different label sizes to choose from, you can select a design from our wide selection of images and label styles or you can create your own in our Sticker Maker. If you’re feeling adventurous, you can upload your own photos and add a personal touch to holiday, wedding, party, and event labels. 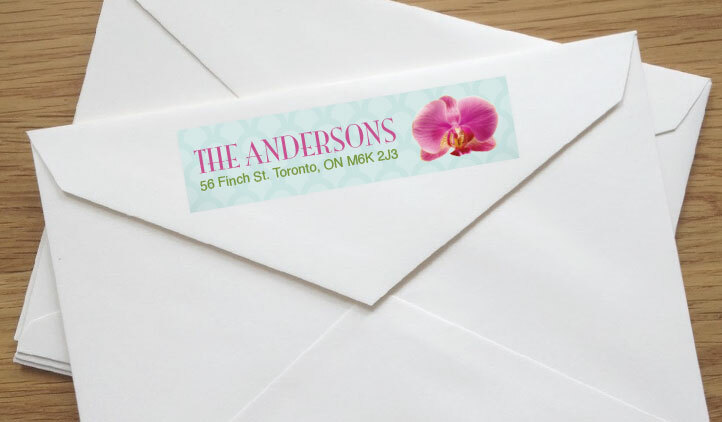 If you want to get creative and choose either wide or large address labels and make the senders address while you’re at it as you can have multiple names on a sheet of stickers. They don’t have to all be the same giving you lots of room for your own designs and giving your labels that extra something. You won’t believe how much easier events and large mailing orders will be from now on! Have friends that just moved to a new home? What better way to say welcome home than with a great set of labels with their new address as a housewarming gift! Don’t leave anybody behind this holiday season! You can DIY your way through the holidays with super easy, inexpensive, and thoughtful holiday gift ideas for the people on your list that you don't want to forget. If you want to get that special someone a gift they'll really like, get personal. Check out our list of the top personalized gifts of the season.